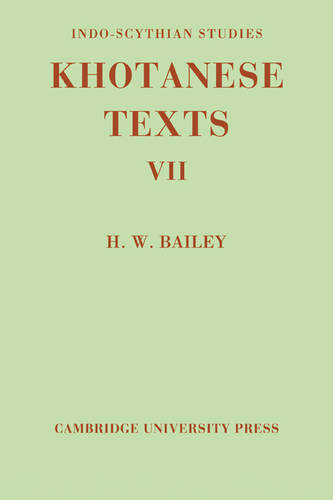 For some fifty years Sir Harold Bailey has studied and interpreted the northern area of Indian Buddhist culture in the Khotan Saka documents of Central Asia dated between the fifth and tenth centuries AD. In this volume the author discusses the form, provenance and identity of the peoples known to the Court of the Kingdom of Khotan and included within the Khotanese texts. Links are made with the languages, literatures and history of Asia, stretching from China to the Middle East. The Khotan Saka documents demonstrate the development of Indian Buddhist culture within Central Asia, and beyond. This volume of Khotanese texts documents and interprets the historical contacts of the peoples of ancient north-west China and of Sin Kiang before the dominance of the Turks.